Space Flight Laboratory (SFL) announced that the checkout and testing of the company's three, formation-flying smallsats that were built by SFL under a contract to Deep Space Industries (now integrated into Bradford Space for HawkEye 360 Inc) is now underway. 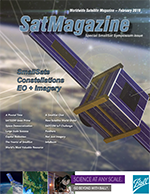 The smallsats were launched last year into LEO on December 3, 2018, from Vandenberg Air Force Base, California. The HawkEye 360 Pathfinder smallsats will detect and geolocate radio frequency (RF) signals from VHF radios, maritime radar systems, automatic identification system (AIS) beacons, VSAT terminals and emergency beacons. HawkEye 360 will apply advanced RF analytics to this data to help customers assess suspicious vessel activity, survey communication frequency interference, and search for people in distress. 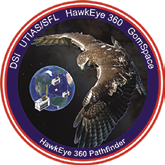 SFL was selected for the mission by Deep Space Industries, the HawkEye 360 Pathfinder prime contractor, due to the importance of formation flying by multiple satellites for successful RF signal geolocation and analysis. SFL first demonstrated on orbit formation control with smaller satellites in the 2014 with the Canadian CanX-4/CanX-5 mission. SFL built the three Pathfinder satellites using its space-tested 15 kg. NEMO smallsat bus and incorporated several technologies that make on orbit formation flying possible. Precise formation flying is critical to the HawkEye 360 RF system because the relative positions of each satellite in the constellation must be known to accurately geolocate the transmission sources of the radio frequency signals. For the triangulation to be calculated correctly, each satellite must be located with sufficient precision in space and also be relative to one another. John Serafini, the CEO of HawkEye 360, said this is the first time a commercial company has used formation-flying satellites for RF detection. 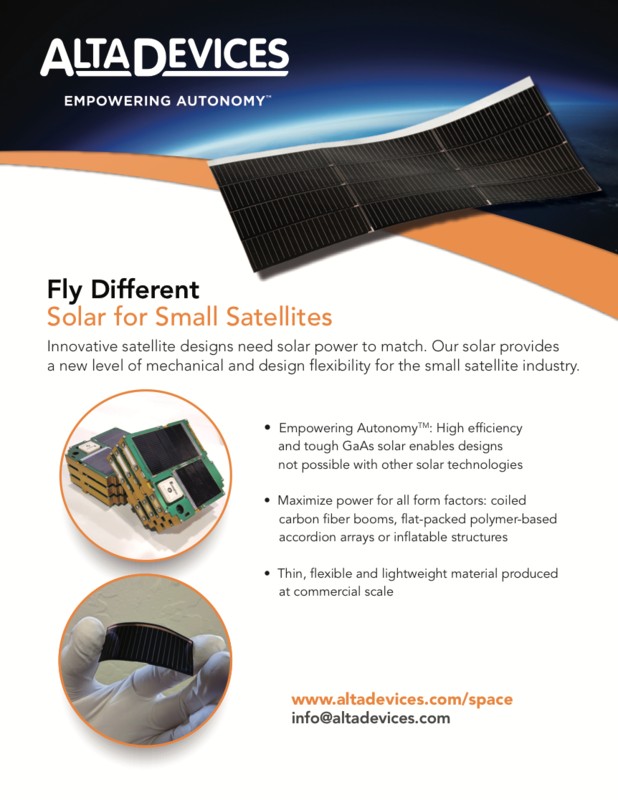 SFL Director Dr. Robert E. Zee added that the company has developed compact, low-cost formation flying technology that no other small satellite developer can credibly offer. Chris DeMay, the HawkEye 360 CTO and Founder, noted that the core of the firm’s business is RF analytics, which is dependent upon high-quality, geolocated RF data. When ESA’s planned Hera mission journeys to its target binary asteroid system, it will not be alone. caused by the NASA spacecraft DART on the smaller body. Image is courtesy of the ESA Science Office. The spacecraft will carry two tiny CubeSats for deployment around — and eventual landing on — the Didymos asteroids. Each companion spacecraft will be small enough to fit inside a briefcase, as compared to the desk-sized Hera. Hera has room to deliver two ‘six-unit’ smallsat missions to the Didymos asteroid system — a 780 meter-diameter, mountain-sized main body that is orbited by a 160 meter moon, informally called ‘Didymoon,’ about the same size as the Great Pyramid of Giza. 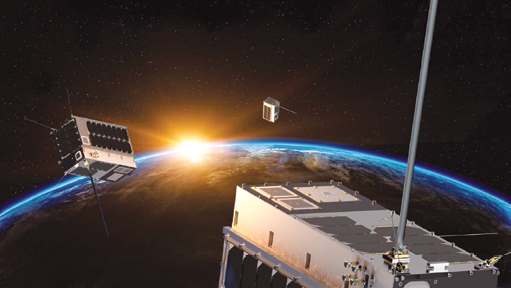 The Hera mission received proposals for CubeSats from across Europe and an evaluation board has now made the final selection. The first CubeSat companion is called the Asteroid Prospection Explorer (APEX), and was developed by a Swedish/Finnish/Czech/German consortium. It will perform detailed spectral measurements of both asteroids’ surfaces — measuring the sunlight reflected by Didymos and breaking down its various colors to discover how these asteroids have interacted with the space environment, pinpointing any differences in composition between the two. In addition, APEX will make magnetic readings that will give insight into their interior structure of these bodies. Guided by a navigation camera and a ‘laser radar’ (lidar) instrument, APEX will also make a landing on one of the asteroids, gathering valuable data in the process using inertial sensors, and going on to perform close-up observations of the asteroid’s surface material. The other CubeSat is called Juventas, developed by Danish company GomSpace and GMV in Romania, and will measure the gravity field as well as the internal structure of the smaller of the two Didymos asteroids. In close orbit around Didymoon, Juventas will line up with Hera to perform satellite-to-satellite radio-science experiments and carry out a low-frequency radar survey of the asteroid interior, similar to performing a detailed ‘X-ray scan’ of Didymoon to unveil its interior. The adventure will end with a landing, using the dynamics of any likely bouncing to capture details of the asteroid’s surface material — followed by several days of surface operations. 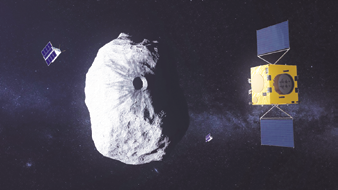 Hera is set to be humankind’s first mission to a binary asteroid system. As well as testing technologies in deep space and gathering crucial science data, Hera is designed to be Europe’s contribution to an international planetary defense effort: it would survey the crater and measure orbital deviation of Didymoon caused by the earlier collision of a NASA probe, called DART. This unique experiment will validate the asteroid deflection technique referred to as kinetic impactor, enabling humankind to protect our planet from asteroid impacts. Next, the two CubeSats will have their designs refined and interfaces with their mothership finalized, in line with continuing design work on the Hera mission itself, which will be presented to ESA’s Space19+ meeting towards the end of this year, where Europe’s space ministers will take a final decision on flying the mission. Hera manager Ian Carnelli explained that the company is very happy to have these high-quality CubeSat missions join with the firm to perform additional bonus science alongside their Hera mothership. Carrying added instruments and venturing much closer to the target bodies, they will give different perspectives and complementary investigations on this exotic binary asteroid. They will also give the company valuable experience of close proximity operations relayed by the Hera mothercraft in extreme low-gravity conditions. This will be very valuable to many future missions. Paolo Martino, Hera spacecraft lead engineer, added that the idea of building CubeSats for deep space is relatively new, but was recently validated by NASA’s InSight landing on Mars last November, when a pair of accompanying CubeSats succeeded in relaying the lander’s radio signals back to Earth — as well as returning imagery of the Red Planet. The Satellite Applications Catapult and Infostellar have signed a memorandum of understanding (MoU) to provide UK businesses with enhanced access to the Satellite Applications Catapult’s ground station in Goonhilly, Cornwall. The Catapult’s ground station is the primary ground location for its In Orbit Demonstration (IOD) program, a unique service that supports UK business to achieve the launch of satellite data services. By integrating this ground station with Infostellar’s StellarStation service, organizations will be able to remotely access the Goonhilly station for uplink and downlink. The Catapult will also be able to share unused capacity with the StellarStation network to give greater access to their Goonhilly facility for UK companies. 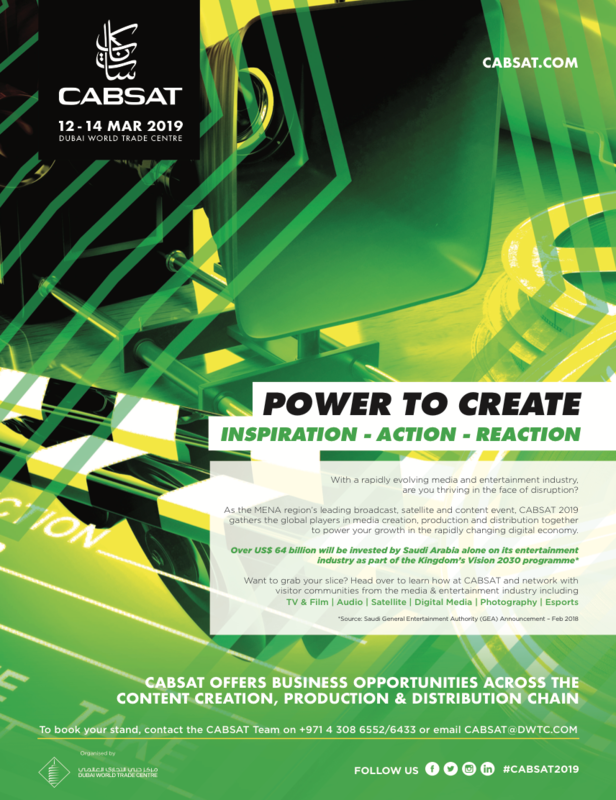 As a result of this collaboration, Infostellar plans to open a UK office at the Satellite Applications Catapult’s Harwell base in 2019. The UK office will focus on business development and regulatory affairs for Infostellar’s international expansion plans in Europe. 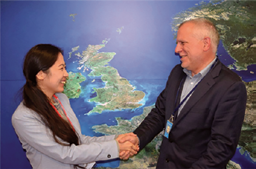 With this agreement, the Satellite Applications Catapult continues to support innovative solutions for the small satellite community, as well as continuing to foster strong links between space companies in the UK and Japan. Stuart Martin, CEO of the Satellite Applications Catapult said that the Satellite Applications Catapult is thrilled to sign this new agreemen with Infostellar. This will enhance the company’s offering for large and small UK companies and make the Goonhilly ground station more available to participants in the firm’s In-Orbit Demonstration program and the wider space community. Martin added that this is also another excellent example of how the strength of the space sector in the UK continues to generate great interest from innovative international companies. Arianespace and the French CNES have signed a launch services contract for the EyeSat smallsat, an astronomy mission that will study zodiacal light as well as image the Milky Way. • To train students in space engineering professions. 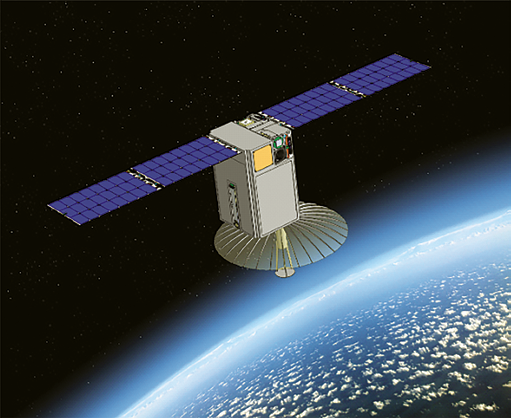 The EyeSat smallsat is being financed and developed by the French CNES (Centre National d’Etudes Spatiales) space agency within the scope of the Janus project (Jeunes en Apprentissage pour la réalisation de Nanosatellites des Universités et des écoles de l’enseignement Supérieur), designed to encourage students in universities and engineering schools to develop their own smallsats. EyeSat will be launched in 2019 as an auxiliary payload with the COSMO-SkyMed Second Generation (CSG 1) and CHEOPS satellites from the Guiana Space Center (CSG) aboard a Soyuz launcher. The smallsat is in the form of a triple (3U) CubeSat and is fitted with an instrument called IRIS, which is a small space telescope. The smallsat will have a mass at liftoff of approximately 8 kg. and will be placed in Sun-Synchronous Orbit (SSO) at an altitude of about 500 km. There’s more... the EyeSat contract for Arianespace is not the only business move the firms have signed... a launch contract for the first smallsat completely built by French industry, called ANGELS (ARGOS Néo on a Generic Economical and Light Satellite), will also be launched by Arianespace. ANGELS will be launched as an auxiliary payload with the COSMO-SkyMed Second Generation (CSG 1) and CHEOPS satellites by a Soyuz rocket in 2019 from the Guiana Space Center, Europe’s Spaceport in French Guiana (South America). This mission is jointly financed and developed by the French CNES (Centre National d’Etudes Spatiales) space agency and NEXEYA (www.nexeya.com), an innovative industrial group active in the aerospace, defense, energy, rail and automotive markets. The satellite will be fitted with a miniaturized ARGOS Néo instrument, which is 10-times smaller than the equivalent previous-generation device. The instrument collects and determines the position of low-power signals and messages sent by the 20,000 ARGOS beacons now in service worldwide. Two project teams — CNES and NEXEYA for ANGELS, and CNES, Thales Alenia Space and Syrlinks for ARGOS Néo — are working together on this French space project. The ANGELS smallsat will have a liftoff mass of approximately 30 kg. at launch, including its separation device, and will be positioned in Sun-Synchronous Orbit (SSO) at an altitude of more than 500 km. 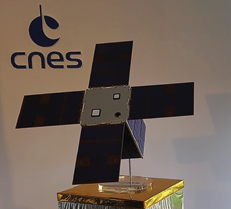 Marie-Anne Clair, CNES Director of Orbital Systems,said that CNES has been committed to miniaturizing satellites for a number of years, in particular through the Proteus mini-satellite and Myriade micro-satellite programs. ANGELS pursues and amplifies this initiative, by paving the way for French industry to build operational nanosatellites within the NewSpace environment. Stéphane Israël, CEO of Arianespace, added that Arianespace is proud of winning this new contract from CNES to launch ANGELS. Against the backdrop of a dynamic small satellite market, this first nanosatellite from French industry reflects the availability of Arianespace’s services and its ability to adapt to the needs of the market. Akash Systems, Inc. has been granted an Experimental Special Temporary Authority (STA) license from the Federal Communications Commission (FCC) for a satellite launch featuring its proprietary GaN-on-Diamond transmitter technology. The GaN-on-Diamond technology (akashsystems.com/technology/ ) will be integrated into a Ka-band (17.2 to 20.2 GHz) 3U radio transmitter and launched in a 12U CubeSat allowing for new levels of data transmission for customers to increase capacity and reduce end-user costs. The company’s satellite launch will demonstrate the transmitter’s capability to handle more than five gigabits per second (5Gbps+) downlink speeds from a 10 Watt 3U radio transmitter. Tentatively slated for early 2020, the launch will validate the data rates, reliability and space-qualification readiness of the GaN-on-Diamond transmitter technology. The new technology enables a smaller, lighter and higher performing satellite that will pave the way to lower launch costs, reduced cost-per-bit, more launch cycles, and increased communications access around the Earth. The company’s satellite launch will demonstrate the transmitter’s capability to handle more than five gigabits per second (5Gbps+) downlink speeds from a 10-Watt 3U radio transmitter. courtesy of Blue Canyon Technologies. The launch will validate the data rates, reliability and space-qualification readiness of the GaN-on-Diamond transmitter technology. Akash will continue to focus on scaling up and qualifying its GaN-on-Diamond Power Amplifier product line, offering customers products with higher frequencies that will be announced in the months ahead. Co-founder, CEO and GaN-on-Diamond Inventor Felix Ejeckam said that taking the lead in the satellite communications industry, this demo will showcase the use of the company’s proprietary GaN-on-Diamond Radio Frequency (RF) amplifier technology. He added that beyond the capability to handle the increasing demands of today’s extreme data throughput, the firm is confident future adoption of the system will drive down end-user costs to levels never before seen. Jeanette Quinlan, Director of Space Systems, Akash Systems, added that anyone buying the company’s solid-state power amplifiers (SSPAs) to transmit data to or from space will be interested in the space worthiness and reliability of the firm’s SSPA products. This launch helps Akash Systems capture that worthiness and reliability data for them.